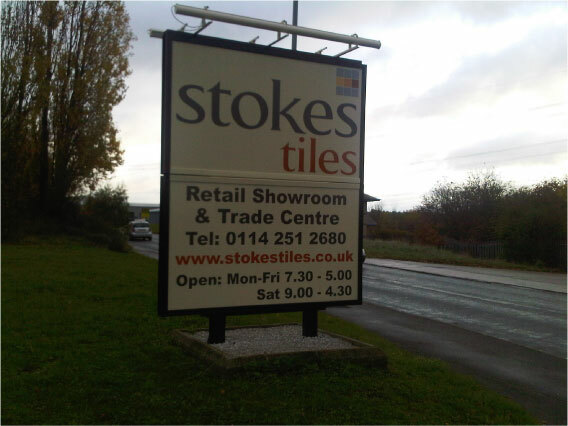 Post mounted signs, monolith signs or totem signs are the perfect sign solution if your business needs to be seen from the road. 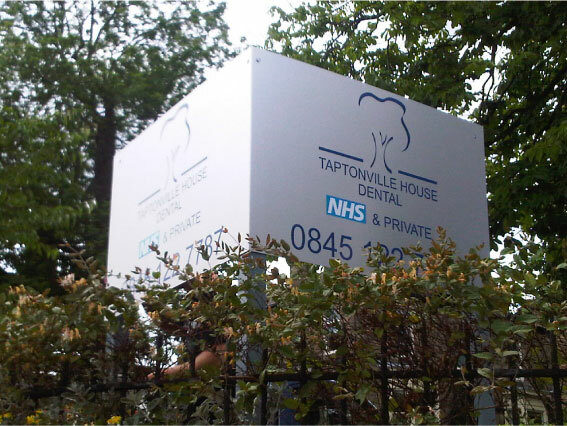 Sometimes your fascia sign may not be too visible, in which case a post mounted sign is the ideal choice. 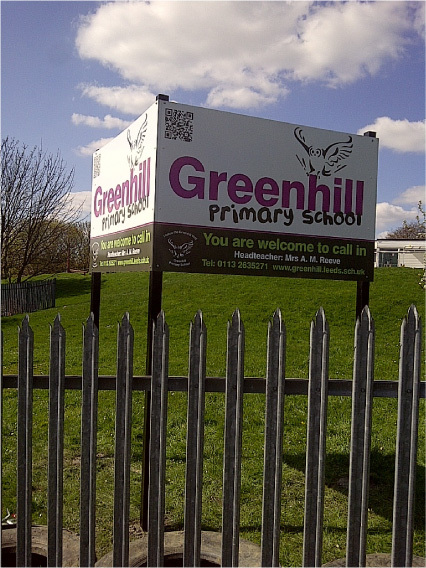 The free standing design is typically tall and slim, can be viewed from all angles and clearly seen from a distance. 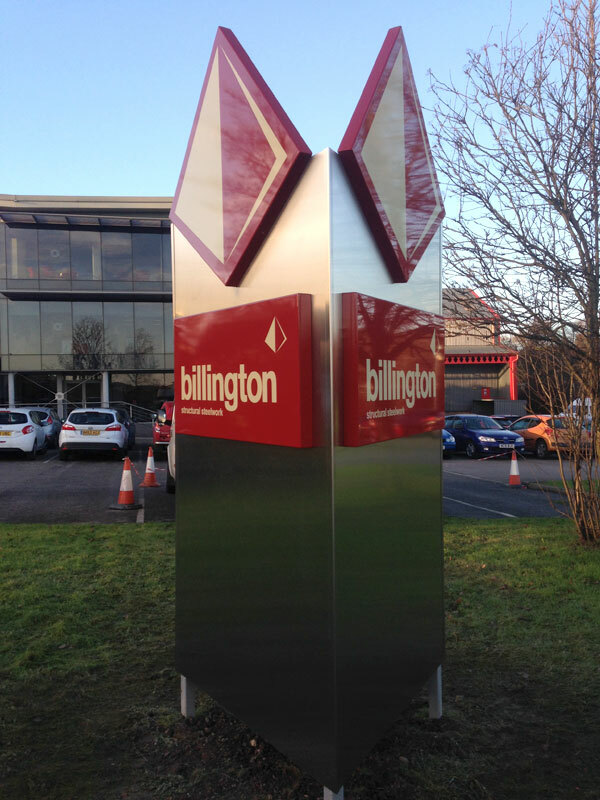 Often used at the entrance to a site or building complex, posts mounted, monolith and totem signs indicate that visitors have arrived at your site, and project a professional image of your business. 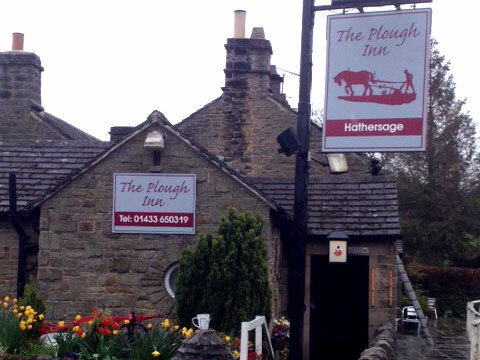 They are also a great way of welcoming visitors to your premises. 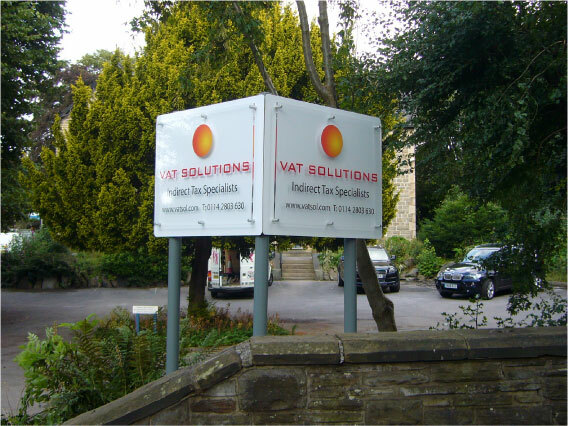 Sometimes your businesses fascia sign may not be visible enough from the road, in which case a post mounted sign is the ideal choice. 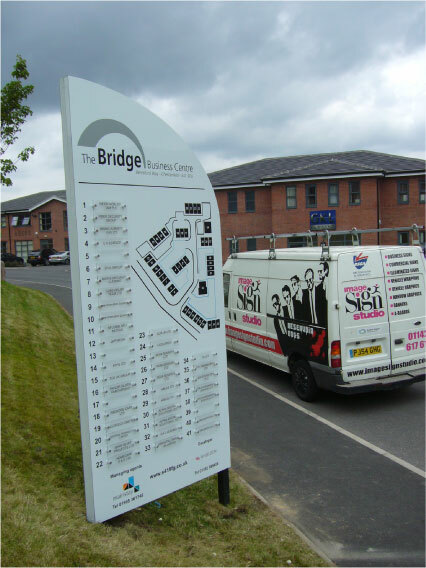 Here at Image Sign Studio, we will print your design directly on to a flat panel which is affixed to posts for security and aesthetic appeal. 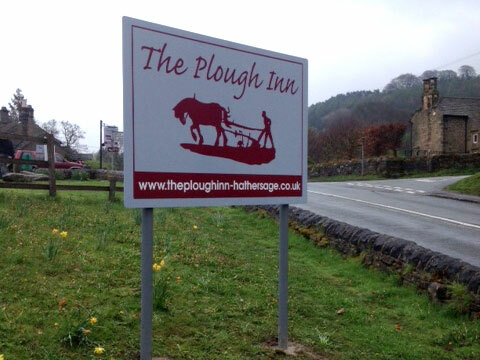 Post mounts ensure that the sign can be seen from the road, and also stand clear of walls and trees. 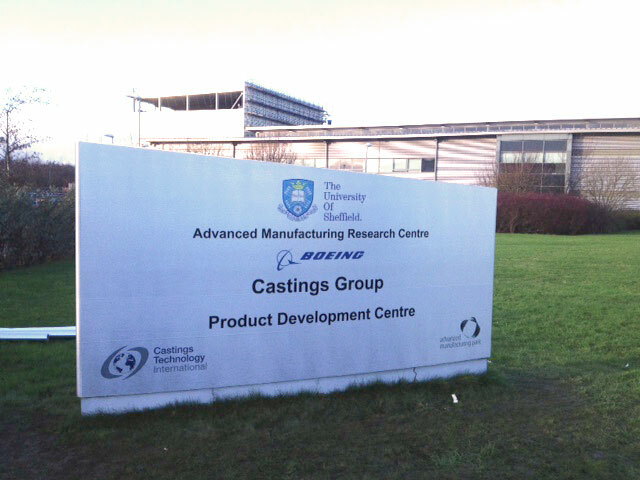 These impressive free standing signs are visually stunning and create a great first impression. 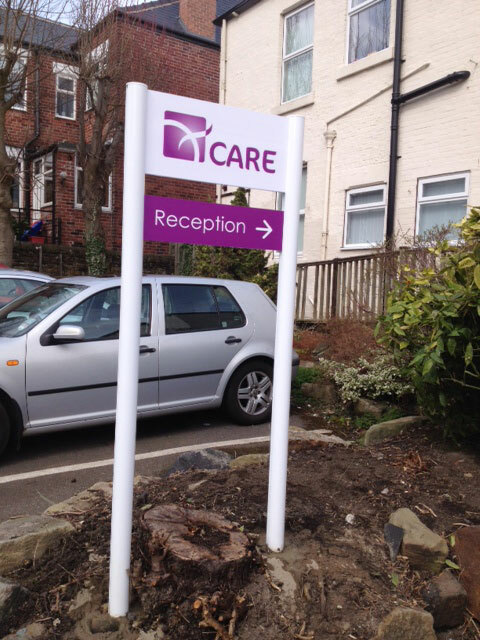 If you need your business sign in Sheffield to really make an impact, even from a distance, considering a monolith sign or totem sign may be a good choice. 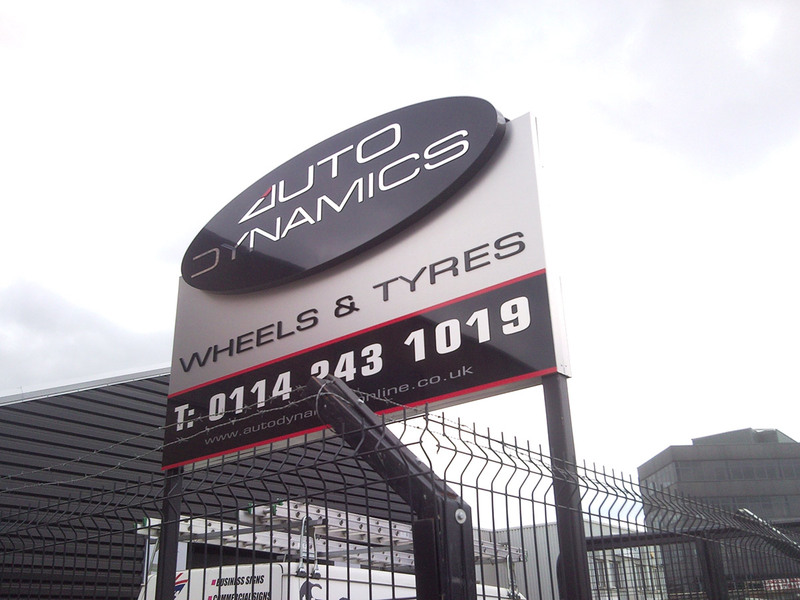 Our signs are built to last, and withstand all the elements the Sheffield weather may throw at them from rain and hail, to sleet and snow. 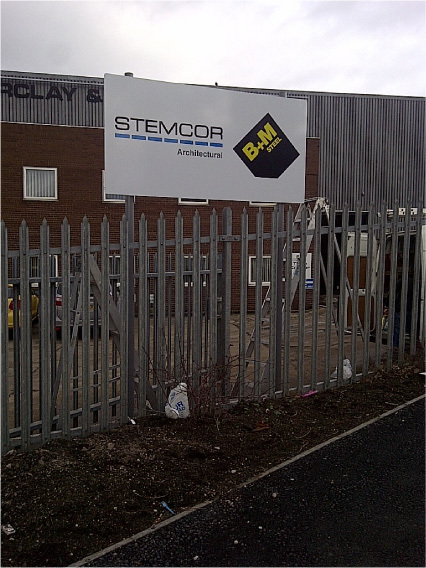 We generally construct them from an internal frame made of mild steel, or using aluminium posts with an aluminium casing. 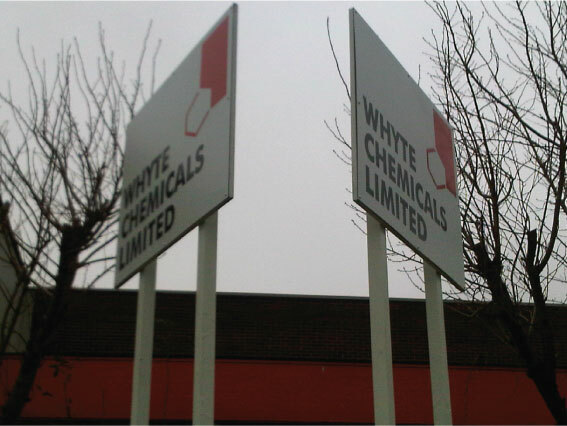 Post signs, monolith signs and totem signs are perfect for hotel signage, school signage, office signage and factory signage. 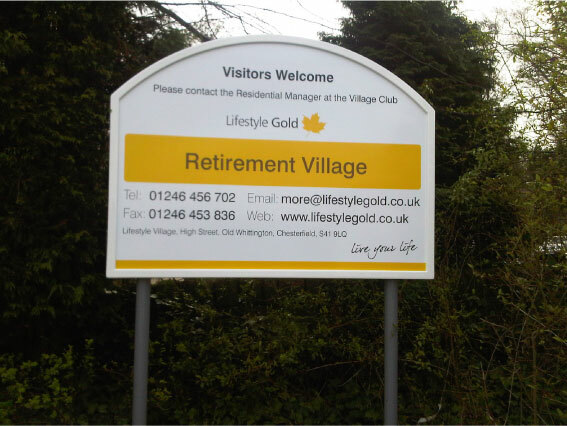 They can be designed and manufactured in a variety of sizes, and can be printed with text and graphics to suit your design, specification and branding. 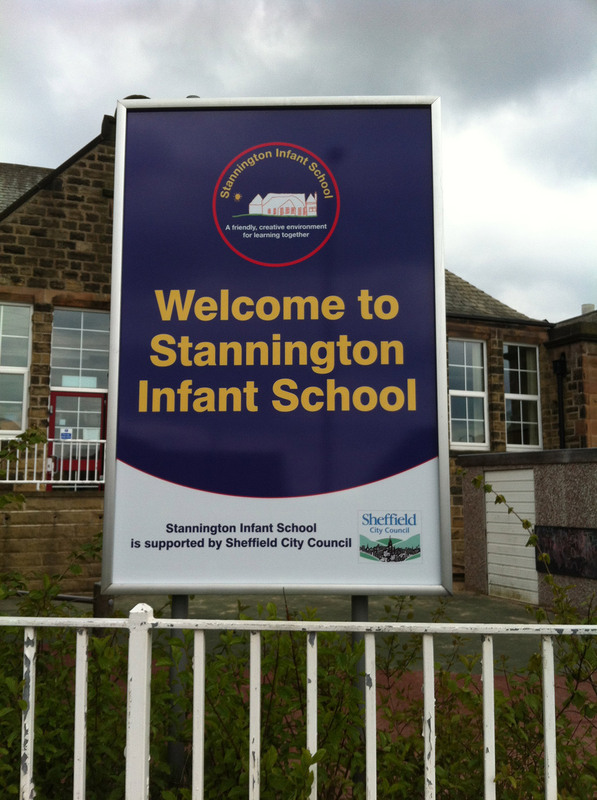 They can also be illuminated on request (click for more information on illuminated signs Sheffield). 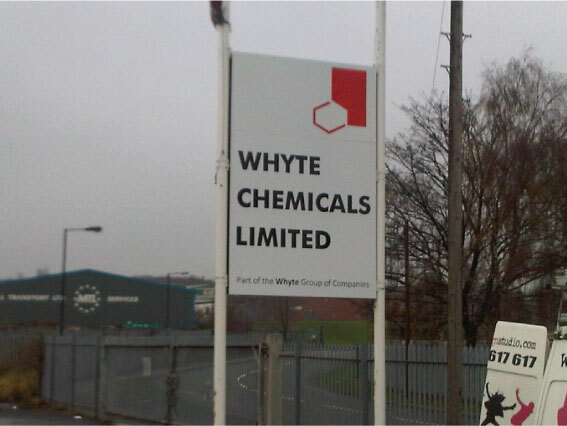 Post signs or Totem signs certainly get your business noticed! 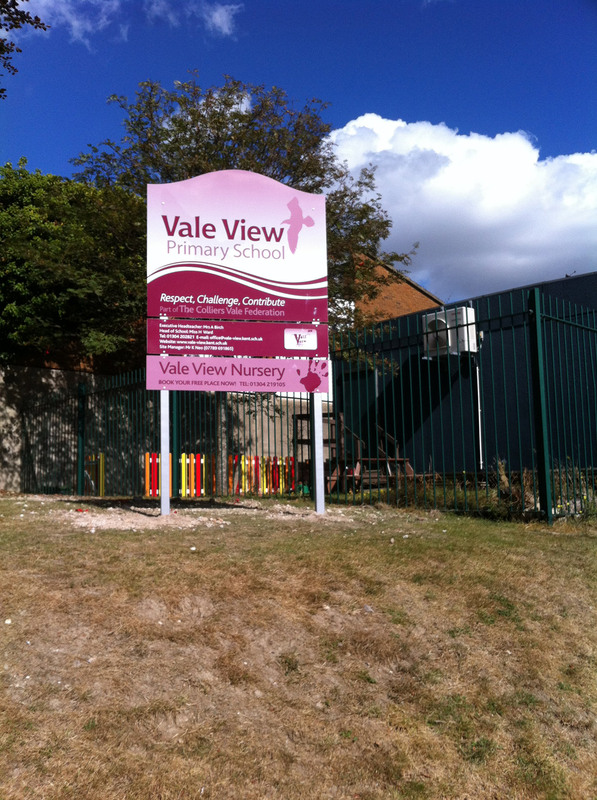 Take a look at the gallery below to view some of our recent post mounted signs, monolith signs and totem signs.